A class of students at Middlebury College learned recently how difficult it can be to make wise philanthropic decisions when the class was asked to give away real money to worthy recipients. 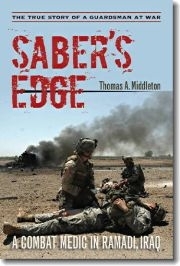 A new book details the lives of Vermont National Guard soldiers who served in Iraq as part of Task Force Saber in 2005 and 2006. The author spoke on VPR’s Vermont Edition, and Jane Lindholm has the details.